David B. Salzman joined Campbell & Levine in 1984 and is a Member of the firm. 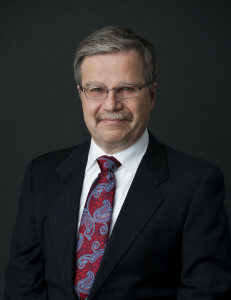 David has focused his practice on negotiating and litigating matters relating to the Chapter 11 Reorganizations, other bankruptcy matters, commercial or personal insolvency of clients or others, including the rights of debtors and creditors, receivership, workouts, restructuring, foreclosures, and fraudulent or preferential transfers. David also excels in handling disputes between and among owners of closely held businesses, including family issues and the oppression of minority shareholders, as well matters relating to the formation and operation of mass-tort settlement trusts and class actions. David has served as counsel or co-counsel to significant Debtors in Possession in the coal, steel, manufacturing, and retail industries. David has four children and resides in Wexford, Pennsylvania.